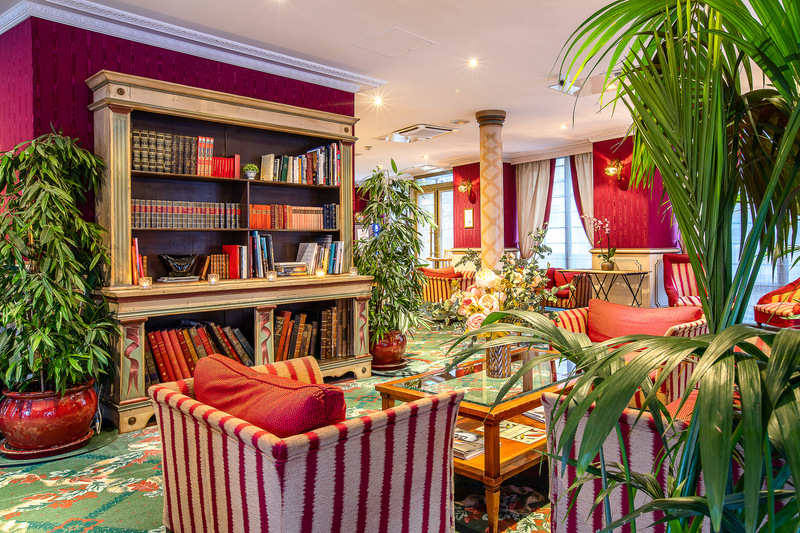 Elegantly decorated, the rooms' interior design is representative of the Napoleon III period. The carefully chosen dollhouse-like furniture and valuable accessories and objects evoke the lavish surroundings in which the Empress liked to wrap herself with. 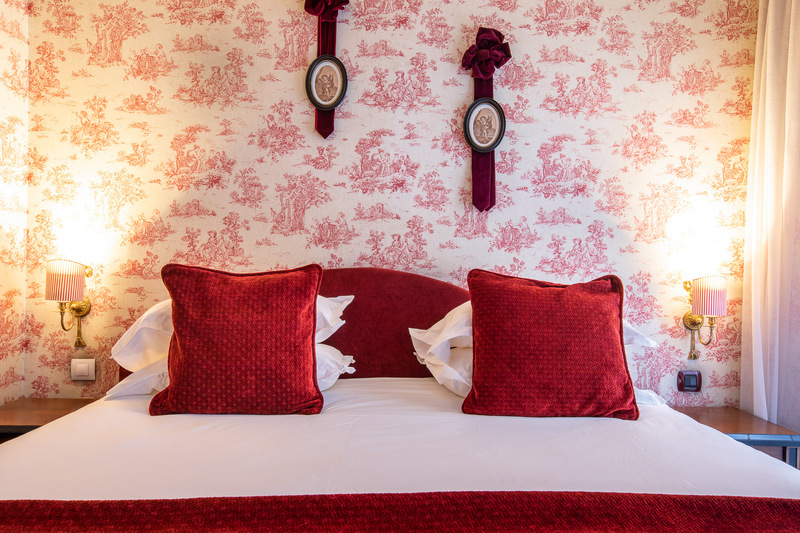 The toile de Jouy, draped on the walls, is a perfect match for the period furniture and contributes massively to the charm of these quiet and cosy rooms. 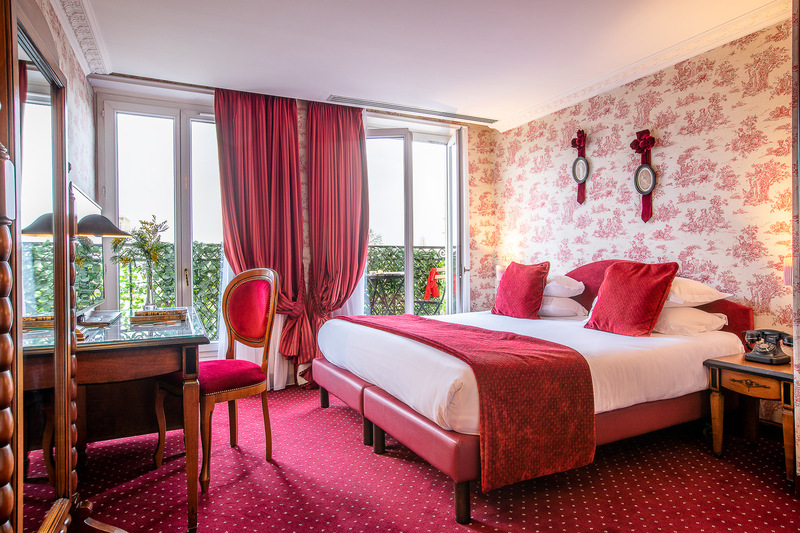 This single room features a minibar, air-conditioning, a satellite TV, a hi-speed wifi connection and a private bathroom with shower, and certain rooms provide you with a Parisian balcony view. This room, equipped with a double bed or twin beds, includes a flatscreen television, a hi-speed wifi connection, its own minibar, and a bathtub. Enjoy a calm night in the heart of busy Paris. This room is equipped with a queen size bed, its own minibar, a work desk space, a flatscreen television, a hi-speed wifi connection and a bathtub in the bathroom.